Back in August the gal that was supposed to care for my cats and my belongings through July 2014 decided that taking care of two cats that already mostly lived outdoors and my stuff that was stored in the corner of the basement, was just too overwhelming of a burden for her. So she told me flatly in a one liner email via her iPhone that my cats and stuff had to be moved out by October. Period. Yay, love the rich and deep communication. Since I had a mandatory visa run in mid-September, I began planning my rescue mission. I began by secretly contacting neighbors to update me with the status of the house, how my cats were fairing and what the difficulties would be in extracting said cats and boxes. My neighbors were wonderful, as usual. Then I contacted friends to help me remove the items as quickly as possible – I love my friends! Then my brother was contacted for a quick airport extraction, a little dabbling of wine and family bonding and then a sneaky drop-off at the Budget Rental truck office the next day – this was to ultimately be my escape vehicle. We all rendezvoused at the house at 0-10:30 and after a bit of hugging we got right down to our mission – full extraction: leave no cat or box behind. Within 30 minutes we had completed our task and were on our way to a great lunch at Breakside Brewery in NE Portland. Mission accomplished without me verbally or physically harming the “caretaker.” Success. I could not have done it without my friends and brother. Seriously great help! After a much needed update from friends over a delicious salad of fresh spinach, beets, bleu cheese and walnuts (unheard of here in Myanmar) I sadly waved goodbye to my buddies and started the drive south to my mom. 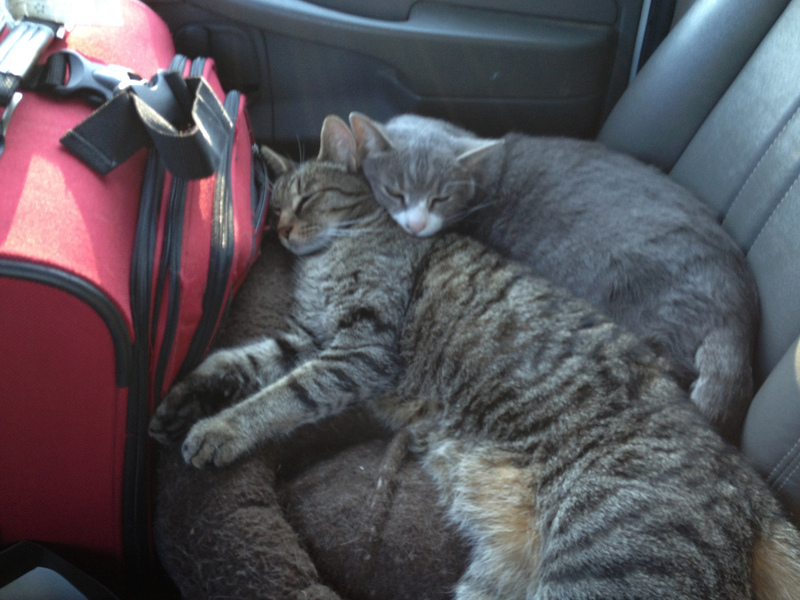 My wonderful furry friends were in a state of shock, but soon warmed up and got snugly. Mom graciously took in my sweet cats and accommodated all my stuff in her basement – on very short notice! My mom is unprecedented in her abundance of love and support. I had a short five days getting my stuff and cats settled, eating delicious food and hanging out with my great mom and dad. Then Friday hit and I was on my way back up to Portland at 5am to start my 35 hour transit back to Mandalay. Exhausted and ready to be horizontal, I walked off the plane and was kissed by the warm air of Myanmar. 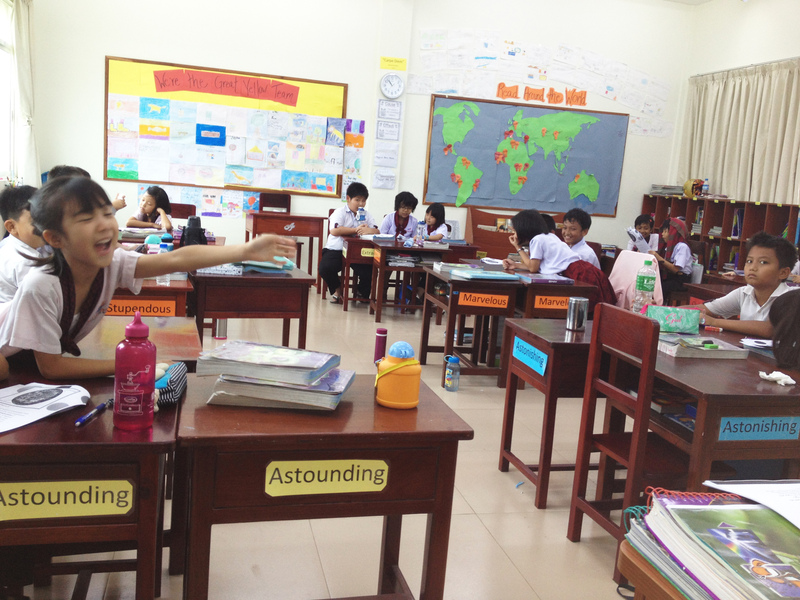 Upon return to the classroom the next day, my kiddos were full of energy and excitement. Happy smiles and good workers. A new quarter has just begun and now I can sleep nights knowing that my furry friends are lovingly cared for. Phew! Thank you to my wonderful friends and family!